Another year has come and gone. And a lot has happened. 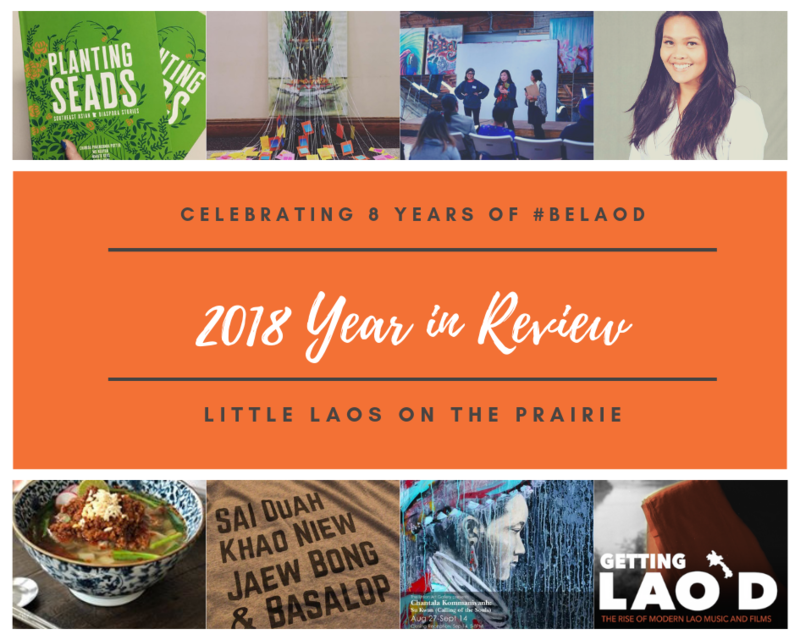 From movies and books that brought our stories to the forefront to a devastating flood that swept through regions of Laos, impacting thousands; we’ve gathered up some our Lao’dest moments of the year that defined the Laotian community. Construction of the Haw Pha Bang temple in Luang Prabang was completed in 2006. The city was named No. 52 in The New York Times’ list of places to travel in 2018. 17 – Minnesota swears in its first Hmong American judge, St. Paul lawyer Sophia Vuelo. The state’s jurist is right at home on Ramsey County bench. 25 – The National Gallery in Jakarta, Indonesia opened “The Orient and Beyond,” a special exhibition of the works of Genevieve Couteau (1925-2013). It features Couteau’s drawings from Bali and several paintings from her journey to Laos. “Getting Lao’d,” a documentary on modern Lao music and film debuts in February 2018. 29 – The U.S. Congress allocates $30 million to UXO sector in Laos for fiscal year 2018 to clear bombs from the country. Lao New Year festivities at Wat Lao Boubpharam in San Diego California. Photo by Snap Pilots. Monthlong – Lao New Year is celebrated all over the country. “Origin Story,” a documentary by Kulap Vilaysack, explores her search to find her biological father. Laos in the House notes World Refugee Day with photos of its volunteers and their families. A dam collapse displaced thousands in the Attapeu and Champasak regions of Laos July 23. A fundraiser with The SEAD Project and Team We Run raised more than $27,000 in aid. 10 – The U.S. Department of Homeland Security issued an order suspending the issuance of visas to certain Lao citizens after Laos refused to take back deported persons from the U.S. These individuals included officials at the Director General level and above from the Lao Ministry of Public Security, as well as their immediate families; and individuals employed by Lao government officials. 23 – Collapse of a Lao dam caused massive flooding and destruction in the Attapeu and Champasak regions. It left several dead and missing and thousands more displaced. A California Senate bill seeking to teach children Southeast Asian history in schools left out Laotian experiences. 23 – California Senate Bill 895, introduced by Senator Janet Nguyen (34th Senate District) required the state’s Instructional Quality Commission to develop a curriculum that would teach children the Vietnamese refugee experience. 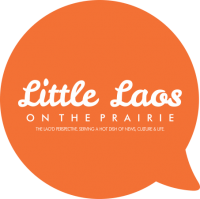 It later added Hmong and Cambodian histories, but excluded Lao/Laotian experiences. The Lao Heritage Foundation featured a fashion show at its 14th annual gala in Alexandria Virginia. Photo by Snap Pilots. “When Everything Was Everything” unpacks family, migration and identity in Saymoukda Duangphouxay Vongsay’s debut children’s book. 25 -Reach Out Laos, a mental and emotional support service, launched the first part of its helpline service. Its telephone service launched soon after in early November. Ohio senator Tina Maharath will serve in the state’s Senate District 3 seat. 10 – The SEAD Project’s “Planting SEADS” book is released and sold out in less than a month. 29 – Dancer, engineer, photographer and poet Krysada Phounsiri is featured in SD Voyager magazine, Okir Publishing Inc.
Miss Laos’ outfit at the 2018 Miss Universe pageant won her the National Costume award. 29 – Fresno Hmong New Year pageant crowns Hmong textile researcher, Pachia Lucy Vang, in 1st place. What are your 2018 reflections so far? What are you looking forward to the most in 2019?